THE LITTLE DANDY : Julep Maven Beginner Box! Last month I wrote this post about how I had manically subscribed to a slew of beauty boxes to start 2013 with an element of surprise. Since then I received my December 2012 Glossy Box, and two Julep Maven boxes! *Yayyyy*. Now, there is much to be said about all, but that can wait. For now, I want to show you guys my first Julep Maven Box! Clockwise from top: Nail Polish in the colour Jodie; Nail Polish in the colour Alfre; Julep roll-on nail & cuticle oil; 2 pots of glitter. Unlike the other beauty box subscriptions, the first box you receive as a Julep Maven is the Beginner Box (I'm not sure if you can opt to just receive a regular box...and if you can, I wish I had...). Above is what I got in the "Classic with a Twist" beginner box! 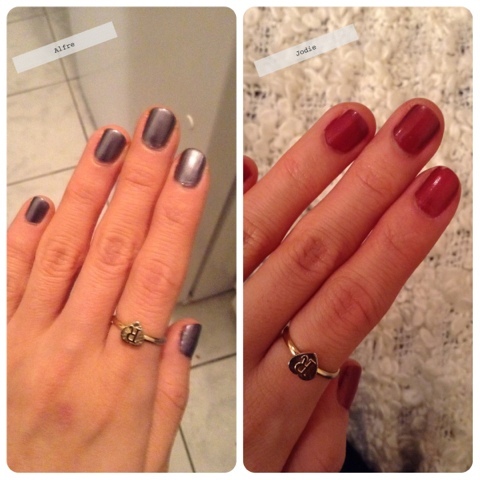 To be quite honest, I wasn't blown away by Julep. At nearly $25/month (including taxes) it just doesn't seem worth it to me. I mean, it's just nail polish right? Putting my personal disappointment with the subscription aside, I do think it's great that all of their products are toxin-free (no parabens) and that a portion of their earnings goes to a charity that supports women (Excerpt from their packaging: "Julep is powered by Girlfriends. We donate a portion of proceeds to organizations that support women."). What exactly the organization is...? I know not. But that is all good and..good I guess. Whuddya guys think? 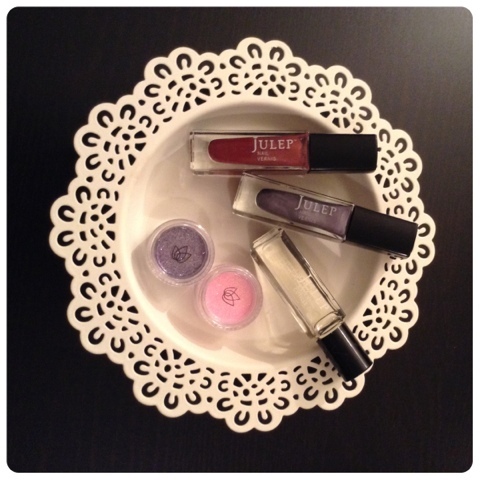 Are any of you subscribed to Julep? Yay or Nay? True true! I did receive my January box and will be sharing it soon! I personally like Julep, overpriced though.